Before entering on a detailed description of Vannini's method of singing, it is necessary to say something about the man, his artistic training, and his peculiar fitness for teaching. Like many others who have made great names for themselves, he has not done so along the line he originally intended. His first instrument was the piano, at which he worked from his earliest youth with the purpose of becoming a concert pianist. In due time he took up the study of harmony, counterpoint, etc., making a rounded musician of himself, with the conductor's baton as the final goal. He had always been in and about the theatre, and showed such proficiency in his profession that at eighteen he was made director of the chorus in the Niccolini, at Florence. This post he filled for three years with such credit that he was appointed conductor, and assumed full direction of the theatre at twenty-one. In Italy the position of conductor is one of great influence and responsibility. On all questions of art his word is law. Not only the concerted music, but the arias of the artists must be sung according to his direction; the stage is set to suit him; and if he says that anyone, from the prima donna down, is not satisfactory, that breaks the contract. He is the repository of all the traditions of the theatre, and is called not the conductor, but il maestro, the master. Such was Vannini's artistic experience,—rather a different one from that of the average vocal teacher. He conducted the opera at the Niccolini for several years, until the demands of a new calling, and one for which he felt himself especially adapted, became so imperative that he resigned, and from his twenty-sixth year till now, in the prime of life at forty-four, has given his entire attention to voice-teaching. As he was so much in the theatre, he constantly heard the artists rehearsing; and when things did not go right he seemed to know instinctively the trouble and its remedy. After rehearsal he would go to the artist and say: "It seems to me that if you took the phrase this way, it would come more easily;" and a trial proved him right. Naturally, the next time the singer came to a difficult place he went to Vannini for more assistance; then others went; and soon all formed the habit of reading their music to him before rehearsal. Vannini became fascinated with the work. Convinced that it was the branch of the art for which he was intended, he gave up everything to devote himself to teaching the voice, and sought in every way to perfect himself. He had always been intimately associated with artists, which, in itself, is an education of inestimable value. He now consulted all teachers, heard them give lessons, and even went so far as to dissect throats, though this he found of no practical use. In person he is rather short but strongly built, with a head set very erect on the shoulders, a peculiarly deep, sometimes dreamy eye, coal black hair now a little powdered at the temples, a thin beard, a hand large as the hand of Providence, and, like all Italian gentlemen, with courtesy bred in the very marrow of his bones. His main characteristic is unaffected simplicity and directness in everything, and his greatest horror is humbug, by which he means any theatrical posing or ostentation, either in or out of the studio. 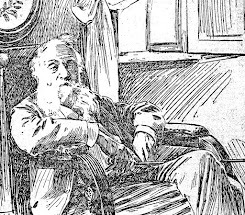 Such is the man who greets you so courteously, and who, to the very last day of your stay, treats you with the most kind and thoughtful consideration, never permitting himself a harsh or hasty word no matter how much you may deserve it; for he takes it for granted that you are a gentleman and an earnest student, anxious to do your very best. There are two distinct parts to Vannini's teaching: First, the training of the voice, pure and simple; secondly, the training of the artist after the voice is placed. For the present I shall speak only of the first part. At the first lesson or two he metaphorically turns the voice inside out; that is, he tries it in every possible way to find out its quality and quantity, its strong and its weak points. In fact, he says that the first lessons are for his benefit, not for the pupil's. When he knows just what material he has to work with, he begins slowly and carefully to develop the instrument, aiming to reach the highest point possible, no matter how much time it may take. All pupils take three one-hour lessons a week. His terms, though among the very highest in Italy, seem to us here surprisingly low, viz., ten francs or $2 an hour to professionals, more, of course, to amateurs, though he scarcely ever has any. During the period of voice-building, he demands strict obedience and unquestioning faith that what he says must be right. He does not have one cast-iron set of vocal principles to which all voices are made to conform even if they break in the process, but uses as many variations to the great fundamental truths as he has individual voices to deal with. In an interview published in this magazine last spring I used a simile which I thought and still think a very good one, viz. : "Let the centre of a circle represent the trained voice—the ideal to be reached. Let the circumference represent the untrained voice—the beginner. The master examines two voices, and may find it necessary to start one voice at the right of the circle and the other at the left. They proceed in opposite directions and yet finally meet at the centre." Now there is so much truth in this, and it has been so delightfully misunderstood by some, that I wish to explain my meaning a little further. Take two untrained voices, having exactly opposite faults. One has a thin, pinched, throaty tone with all the breadth and richness squeezed out of it; the other has a flabby, colorless, breathy tone, spread out of all focus. Now it is evident that these voices must be treated in very different fashion. One must be opened out and given freedom; the other gathered together and brought to a focus. Thus, though started in opposite directions, nevertheless, they will meet at the centre, which is the natural, free voice. As no two persons are exactly alike, neither are any two voices; and continual study of individuals with careful consideration of the peculiarities of each voice, are the chief sources of Vannini's power. Following out this plan, he uses no set of vocal exercises, but writes his own for each pupil as fast as needed. Thus the student is always provided with an exercise designed to correct just the fault he is working on. A great volume of exercises is unnecessary. I have all that I used in three years' study on a half sheet of music paper. The first and sometimes the hardest thing that the American pupil has to learn is to "go slow;" to get free from our national bustle and hurry, which is, perhaps, business, but is certainly neither art nor study. One of Vannini's favorite expressions is "intelligent laziness," by which he means to know when you have done enough actual work, and then to "lie still and grow," as Kipling has put it. Italians have a very wise proverb: "Chi va piano, va sano, e va lontano;" "He who goes carefully, goes safely, and goes a long way." Voice-cultivation is the development by natural growth of the vocal apparatus that nature has given to us. All the vocal teacher does is to direct this growth; in no sense does he make it. He may aid or retard, but nature does the work. The growth that is begun most slowly and carefully will develop most safely and rapidly. We all have noticed that in starting a heavy train the engineer sometimes pulls the throttle too wide open, and the big driving-wheels whiz round; but no progress is made till the engineer shuts off steam and starts again more gently. A similar thing happens very often in vocal study; only when the vocal driving-wheels whiz round, the results are apt to be serious. That the desired end may be reached most quickly, Vannini usually has his pupils stop all home practice, particularly when there is faulty tone-production, until the pupil has mastered the old faults and has so firm a grasp on the new method that there is no danger of slipping back. The maestro earnestly cautions the pupil against over-practice. Probably nine voices are injured by too much practice where one really suffers from not practicing enough. At first, the pupil may practice from five to ten minutes two or three times a day, but not unless they "feel like it," and never after the voice shows the first signs of weariness. Better go slowly than to take a strained throat to the doctor. From the first day to the last, it is the quality of the work done not the quantity, that is insisted on. A few minutes with all the faculties keenly alert and watching for each minutest fault, are hard work, but bring solid progress; singing a lot of exercises, and never minding whether some things do not come as well as they might, is quite easy and equally injurious. After a few weeks or months of this kind of work, some simple song is given, but only as an exercise for the words. For after the voice can vocalize correctly, there are endless difficulties that may arise from using the different vowels. What, then, is Vannini driving at? What is the ideal that he holds before himself, and to which he bring each voice as near as possible? It is the rich, free, resonant voice, that can sing legato, and that rolls out from the singer with the same ease and joy as does song from the lark. 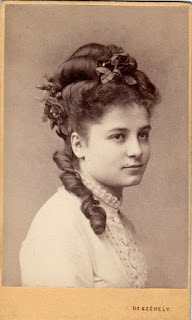 That voice of fiery yet melting beauty, which we so associate with the Italian stage and so often hear erroneously attributed to the Italian throat, that bel canto, is within the reach of any person endowed with voice and musical feeling, who is willing to work hard enough for it. We Americans are gifted with natural voices, but we have lacked the atmosphere of art and study that pervades the music-centres of Europe. Not that we have no fine teachers, for there have been and are to-day in America teachers of the very first rank; but we do not give to them the same favorable opportunity for work that we give to the European teachers. We are too business-like, in too much of a hurry for tangible financial results. Then we lack the incentive of constant hearing of good artists at reasonable prices. Vannini seeks to know just how the natural, healthy voice, unaffected by malformation or misuse, acts; how nature intended the perfect voice to sing. Then he brings the many kinds of limited or injured voices as near to the ideal as possible. He bases, his system on the most natural of all sounds, the open Italian a; but as certain voices have trouble in vocalizing on this vowel, he colors it for a time to suit their needs. But before they can go a step farther, they must master this fundamental principle of good singing. He spends most of his time on the middle voice, making it absolutely solid, because long vocal life and the correct formation of both upper and lower tones depend entirely upon the middle voice. This part lies the bulk of the work to do in all kinds of music, and it is where the first signs of wear or faulty production appear. When the middle voice is so poised that it can sustain heavy work without fatigue, then the production of the upper tones is an easy matter. But as long as the pupil has any doubt about the management of the middle voice, the upper voice would better be left alone, as almost inevitably it will be produced incorrectly. Vannini seldom takes the voice to the extreme high notes, because when the middle voice is perfectly solid there is little need of it, and before that time it is useless. The pupil is taught to sustain tones quietly, putting aside all nervous tension, and using only just as much voice as comes naturally—neither repressed to a piano, which is always dangerous for beginners, nor pushed a particle to make the voice larger. No matter how small or poor the voice may seem to be, when given in this simple, natural manner it will grow fast enough with time and care. But woe to the voice that is forced in the studio. If it does not break, it grows one-sided. When the voice is so poised that it can sustain a real legato, whether it takes two months or two years to accomplish it, then and not till then is Vannini ready to begin the training of the artist—"but that's another story." Hackett, Karleton. "Vannini—The Man and the Method," Werner's Magazine of Expression, December 1893: page 414-5. The voice has now reached a point where things can be thought of other than voice-building. The instrument is at command. Important works can be studied, and the real business of making a singer can begin. It is wise to consider what line of work you wish to follow. Vannini’s whole course of instruction is to prepare pupils for the opera. If the singer wishes to fit himself for oratorio work he can, after a thorough course in voice-building under Vannini, undoubtedly be better coached in England than in Italy; and for German Lieder it is equally necessary to go to Germany. But for concert singing, where the aria plays so important a part, and most certainly for opera, even if it be German opera, too much cannot be said of the value of study in Italy. Even the vocal training of Paris is largely in the hands of Italians, and many of the most prominent singers of French opera are pupils of Italian masters. In spite of the poor voice-teachers that Italy, in common with all countries, possesses in abundance, and of all the charlatanry about the “ old Italian method,” etc., the fact remains that the value of the Italian way of singing is everywhere recognized, and all this quackery that has flourished so luxuriantly is only a proof of the richness of the underlying soil. As soon as the newness has worn off and strange ways have become familiar, there is something truly inspiring to a singer in living amongst people that turn to music, especially to singing, as the greatest pleasure of life. Where all, from the great noble to the street peddler, have frequented the opera since their earliest recollection, and love and understand it as only those can to whom it has become a necessity, there is formed an atmosphere of art whose value to the student, though it may not be measured by length, weight, or bulk, is unspeakably great. There is encouragement to the student when one sees that whatever is really good receives instant and outspoken recognition. Then, the value of constantly hearing artists can hardly be overestimated. It is not only education, but a great incentive. You realize after a time that these great artists, before whom you stand in wondering admiration, were not born supremely great, nor with phenomenal vocal endowments, but they owe their position to long study, hard work, and unconquerable determination. You become acquainted with them, learn of their struggles, their discouragements, their limitations; and, finally, you realize that almost no bounds can be put to the possibilities of the fairly 'gifted man who will work unremittingly and wisely in his art. The list of great singers whose first managers told them they were “good fellows, but had mistaken their profession,” is too familiar to need rehearsing. As I have already said, the foundation of Vannini’s work is voice-building, and the pupil can undertake nothing beyond until the art of voice-placing is mastered. But after this is over, and it sometimes seems very like drudgery, comes the real pleasure and greatest benefit from study with Vannini. As in his voice-building he studies the peculiarities of each voice as an instrument, so now he studies the temperament and character of each pupil, to know what sort of music is best suited to his abilities. Many a time he is compelled to say that though such a one has a voice he will never be a singer. After a time you realize that the voice is but a small part of the artist. Some with truly phenomenal voices can reach only mediocrity; and some of the great artists of the world amaze us, and—win our greater admiration, when we understand how poor was their original vocal endowment. In order to best develop the artistic insight of his pupils, Vannini allows them the very widest liberty of interpretation, preferring to let them find by actual trial which way is the best and most effective, rather than to stifle individual thought by saying in advance that “this aria is to be sung so.” If, after due time, the pupil does not seem able to find for himself the best rendition, Vannini suggests that “perhaps it would go better this way,” and the pupil has floundered long enough to appreciate the value of the right way when it is pointed out. But I know one celebrated teacher who goes so far as to write in all the breathing-places and expression-marks before the pupil has ever studied, or perhaps even heard, the aria. Where the teacher is thoroughly familiar with the music, that is undoubtedly an easy way of giving instruction; but I hardly think it is likely to develop the pupil so satisfactorily. Vannini is always striving to make his pupils think and have opinions of their own about the value of music and its interpretation, even when those opinions do not coincide with his own. He knows that the singer who is merely the echo and mimic of his master will never be an artist. 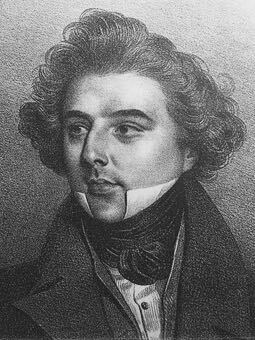 For those pupils who are studying for the stage, Vannini’s experience as conductor is invaluable; and for teaching a broad, dramatic style of singing it is impossible to find his superior. 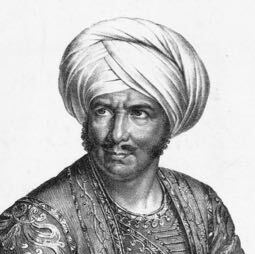 His pupils, score in hand, are expected to attend the opera several times a week (though, thank fortune, not at American prices! ), and at the next lesson to give a clear and decided criticism of the methods of the singers and the value of their interpretations. After a pupil has reached the proper point, Vannini has many opportunities for getting him public hearings, though this is rather out of the province of vocal instruction. One who has ever studied with Vannini is sure of a friend through all his career, in whatever land he may be and whatever the branch of the art to which he may devote himself. And in the hearts of his pupils, il maestro ever holds a first place in love and respect. Hackett, Karleton. "Vannini—The Man and the Method," Werner's Magazine of Expression, January 1894: page 5. A native of Florence, Italy, Vincenzo Vannini (1848-1924) taught in Boston from 1876-1880 and published several volumes on singing (see Worldcat). His student Karleton Hackett (1867-1935) was a native of Boston and may have met Vannini there as a young man. Whatever the case, Hackett commenced his musical studies at Harvard, then studied with Vannini in Florence for three years. 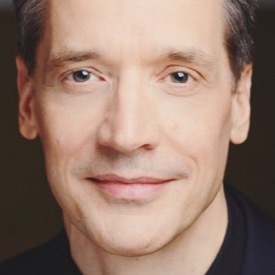 Upon his return to America, Hackett sang for a time, wrote many articles on the art of singing, and ultimately became an important voice teacher at the Chicago Conservatory of Music. He also found himself in a legal tussle with A. D. Duvivier—a student of Manuel García which you can read about here. The long and short of it? Duvivier gave an address which he promoted in a pamphlet. Hackett commented on it in the Musical Courier—insinuating that Duvivier had an overly familiar relationship with his female students. That Hackett's libel was true did not prevent the judge from dismissing the case. See the labels below for additional information. 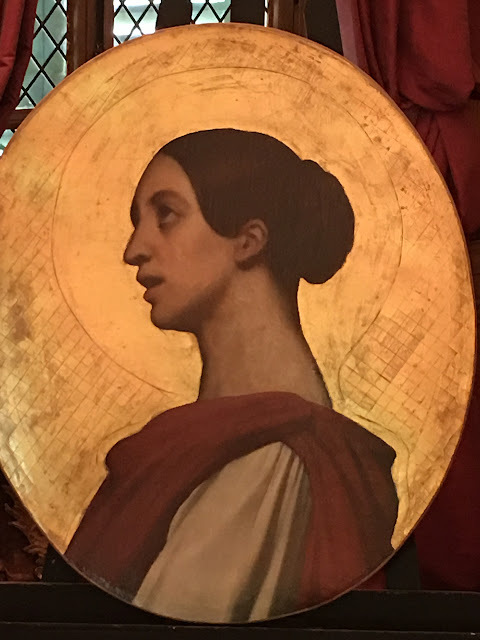 The old Italian and German masters, whose schools produced such excellent singers of both sexes, show by their writings that their ﬁrst endeavour was to teach their pupils how to form a beautiful tone and to render their voices flexible and of a telling quality. There was no question of exercises in a large compass, nor of developing a powerful tone on one vowel, as is now the fashion. In the elementary instruction—that is to say, in the solfeggio—our ancestors began by teaching how to establish and sustain the voice. They next proceeded to exercises in a small compass, such as are provided by ornaments (appoggiaturas, turns, mordents, etc. ), and then let their pupils practice on the ﬁve elementary vowels and without accompaniment. We have to proceed in the same way if we wish our pupils to acquire not only a powerful, but also a beautiful and expressive tone, a ﬂexible voice, and good pronunciation. Stockhausen, Julius. Extract from "A Method of Singing," The Voice, April 1888: page 58. 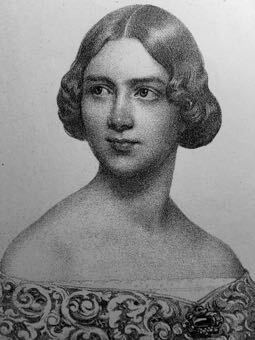 Stockhausen was a fellow student of Jenny Lind in the studio of Manuel García and went on to become one of the great Lieder singers of his generation as well as García's representative in Germany. In the passage above, he illustrates the simple methodology of the old Italian school which began with the formation of a beautiful tone, then progressed to the practice of the five Italian vowels without accompaniment. I can't tell you how many students would rather skip this stage of development. However, there is no getting around it. Either you master your vowels, or you don't. And if you don't, the voice never really improves. I would say a few words in regard to vocal methods. All voices should be educated in some distinct school of vocal culture. The one who claims to teach his own method must surely be a brave man. Individual methods should be ignored. There is no method better than that which has made the Pattis, the Albanis, the Carringtons, the Gersters, the Ravellis, the Gallassis, the Del Puentes. There are three recognized schools of vocal culture, viz. : The Italian, the French, and the German. The Italian is the safest, and the only proper school for the culture of the voice. The French school is similar, still it varies to quite an extent in the culture of the male voice, inasmuch as it gives singular prominence to the falsetto tone. The German school treats the male voice in the same manner. In the French and German theatres, these tones are used, but in the Italian theatre this sort of voice is never permitted to be made use of. The special study of the falsetto tone is unnecessary. If the voice be placed properly, the most sotto voce tone can be easily produced. There is no harm done to the voice in the study of the falsetto tone, but it is a loss of time. Continuous words sung in the falsetto register, always sound weak and lacking in character. The abrupt transition from the chest to the falsetto tone, as is often heard in the singing of Capoul and Campanini is extremely disagreeable to hear. All German vocal teachers do not teach the German method. This school of vocal culture produces loud, screamy voices, and is injurious to the health, hence I am sure there are Germans in this convention who do not endorse it. This school aims at fullness in all the registers of the voice. The chest-tones are carried very high, the medium also, and the head-tones are made with the larynx forced down, thus producing an artiﬁcial fulness. This excessive volume robs the voice of height of compass, and agility. The physiological result is often a burning sensation in the throat, accompanied by great fatigue after singing, often resulting in bronchial haemorrhages, and sometimes in consumption and death. Several cases of this kind have come under my own observation. A knowledge of vocal physiology. which means a knowledge of the muscles, and nerves which control them, and which come into play in the production of tone, and the practical application of them, I believe to be essential for all those who would become ﬁrst in the profession of voice-culture; and I would earnestly urge all young teachers of the voice to give special attention to this subject. It is true, that lectures alone upon the subject of vocal physiology would never make one sing, but one who teaches should understand the subject, that he may teach safely, and without experimenting. For example, by this knowledge one learns that certain muscles cause throaty tones and that there are antagonistic muscles which remedy this defect, hence he is able to apply this knowledge in the most expeditious, practical and beneﬁcial manner. Many examples might be given showing how this knowledge may be applied. In proportion as one understands this subject, in the same proportion must he be a better teacher. One should take a broad view of this voice-subject and avoid being bigoted, or too conservative, and also be chary of new methods. 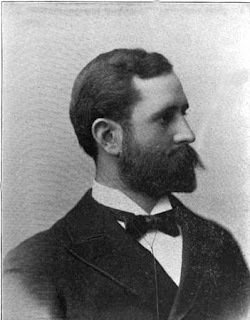 Wheeler, Harry J. The Voice, 1884: page 188. A student of both Manuel García and Francesco Lamperti, Wheeler is commenting on an address by a colleague in the passage above. What caught my attention are Wheeler's observations on various methods as well as his pithy words regarding male falsetto. The special study of the falsetto tone is unnecessary. If the voice be placed properly, the most sotto voce tone can be easily produced. There is no harm done to the voice in the study of falsetto tone, but it is a loss of time. The idea that old Italian school voice teachers going back to Porpora and Caccini taught their students to sing in falsetto is not supported by the historical record. Not this record anyway. Even more erroneous is the notion that falsetto was a means to an end. This record doesn't support that notion either: In Wheeler's world, there was a correct way to sing sotto voce and falsetto wasn't it. That it involved voice placement is perhaps the biggest clue. Find out more about Wheeler and his teaching using the label below. You can also find him on the download page. Conservatories of music are multiplying. What are the advantages and the disadvantages of conservatory work? How often should singing-lessons be taken in order to secure the best and most permanent results? What arguments can you advance in support of your opinion? Do you approve of pupils asking part regularly in church-choirs or other singing-societies while undergoing instruction? Why? What means can be recommend to get pupils before the public? Having studied in the three most renowned German conservatories, Cologne, Leipsiz, and Dresden, and taught for four years at the Berlin Scharwenka Conservatory, I do not hesitate to reply to this question. My experience convinces me that no one can acquire a thorough knowledge of the art of voice-production (pure and simple) in the limited time allotted to each pupil by the "conservatory" method. There are undoubtedly advantages in class-lesson, provided this general study is supplemented by private and special enlightenment—as is done in Germany. Each pupil has individual defects which need special instruction by a gifted teacher; for without the solid foundation of a properly developed, perfectly controlled voice, attempts at music-interpretation are futile. The figure of an architect giving his attention to the appearance of the superstructure, quite indifferent as to the strength of the base is a parallel. His pretty house will one day tumble down. Your singer with style and no knowledge of a free, intelligent emission of tone will one day strain this throat beyond endurance, and his voice will be done. This happens so often that it scarcely occasions comment. A pupil having private and special instruction will, however, find advantage in lessons associated with other students. Theoretical music, style, and more or less of interpretation, can be taught by competent instructions to a group of students; but I know positively that the class-system of teaching pure vocalisation is entirely inadequate. The first and absolute essential thing is for a pupil to produce his tone properly. This requires hard work and great patience of both teacher and pupil. My own teacher, Prof. Adolf Brómme, then at the Royal Dresden Conservatory, himself a genuine pupil of old Manuel Garcia, insisted upon one lesson every day for at least a year. What he can do is shown in my room-mate, Pauline l'Allemand, now at the Casino in New York. We had lessons together, she, that her very light voice might gain in color from my voice dark one—and vice versa. Later on, two lessons a week were sufficient, and being only for voice-production. Indeed, I do disapprove of pupils taking part in any other kind of singing while building the voice. The pupil has a very complicated task, and before he really acquires the knack of voice-control he should refrain from all vocal effort. A student must have an ideal tone in mind; each day he strives to make the actual like the ideal. Continued work stamps, with every effort, a more indelible impression upon his mind, until finally a time comes when the thing is finished. The ideal tone is at his command. That is, it comes if he continues with one intelligent sort of practice sufficiently long. The voice of a beginner who does his exercises, sings in church choirs to please friends, and here and there, will be in tone-color about as near the perfect tone as a composite photograph of fifty people is like that of the first subject. Continued impressions of one and the same thing will give a clear, fixed result; a hodgepodge effect comes from the mixing of impressions. A voice once settled, no harm can come to the vocal instrument, for there will be no ill use. Uncertain of the technique, beauty and freshness will depart with the use of the voice. It is difficult to place a pupil before the public if he has no social influence. Merit and ability will probably win in the end, in any event; but there must be great patience. When I personally have a pupil sufficiently advanced to present to the public, I introduce her at a concert, and have critics and agents present, as far as my personal influence goes. Werner's Voice Magazine, December 1891: page 202. Find out more about Lankow by clicking on her label below. What I want to emphasise here is the demand made by old Italian school pedagogues that students refrain from singing repertoire before acquiring absolute vocal control through exercises and scales. Is this done at the conservatory level today? No. Repertoire is given from day one. 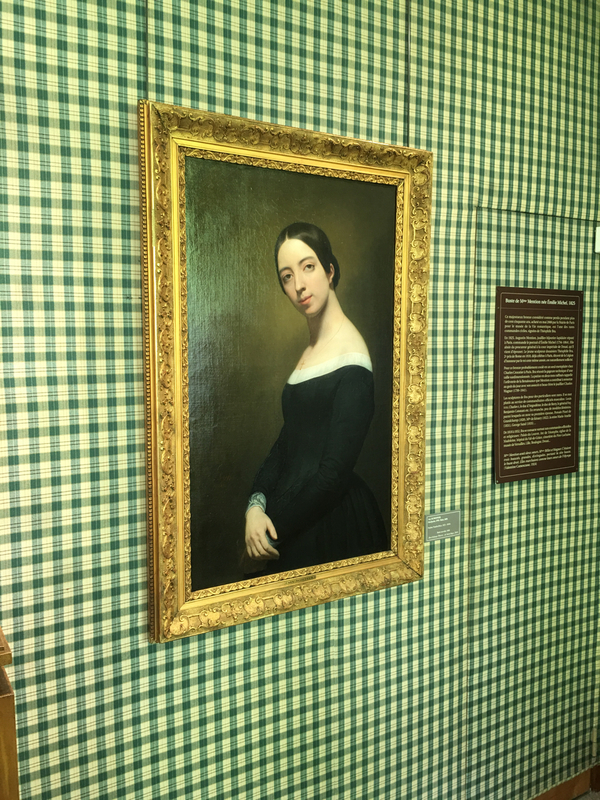 Lankow notes that she studied with her teacher every day, then had two lessons a week—this latter approach also being that of Anna Schoen-René (another García school exponent) who taught at Julliard. Unusual? Not at all: If you studied with a García or Lamperti teacher this is how your studies unfolded. Technique before repertoire. That was the rule. Today, students usually receive one lesson a week, while repertoire is assigned from the get-go. It's a catch-as-catch-can approach—both teacher and student making do and hoping for the best. Here's what I think: if we really want old-time religion singing, we had better rethink how we train singers. 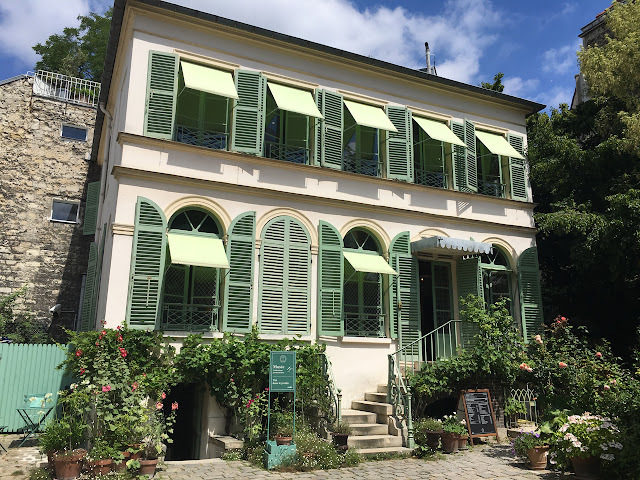 Last summer, I visited the tomb of Manuel García I (1775-1832) at Pére-Lachaise, Paris, which can be found right across the path from the tomb of his daughter-in-law Eugenie (née Mayer) García. Whether this was by design or not is not clear. However, one suspects design if only because Eugenie's tomb is inscribed with "Madam García." Curiously, Manuel's son—Manuel García II (1805-1806)—underwent a separation from Eugenie Mayer García in 1848. Leaving Paris for London, Manuel spent the rest of his life there and remarried after Eugenie died in 1880. It's my first lesson with Margaret Harshaw. Eyes twinkling with mischief, she places my hands on the back of her neck, takes a deep breath—and while opening her jaw wide, distends her neck to immense proportions. Releasing my hands, she looks me straight in the eye and says: "The vertebrae must separate! Now you do that!" Years later, I am at the Listening Centre in Toronto having my ears tuned up. Halfway through the process, I stand up during a morning two-hour session with the stunning realisation that my spine has elongated tremendously, which aches with a hurt-so-good feeling. Turning my head to the left and right: I can feel my skull is in a very different place. The muscles surrounding every bone in my spine have stretched both up and down, which leaves me with the uncanny feeling that someone has pulled my head back and up away from my torso. I close my eyes and am back in the voice studio. Miss Harshaw's hands are on the back of my neck and I hear her say: "You better believe it." HERMAN KLEIN died in London on March 10, in his seventy-eighth year. The veteran critic and teacher will be missed in a large circle. He was a most pleasant acquaintance, shrewd and kindly, experienced and urbane; and the very length of the life he had lived in the midst of musical affairs gave him in his latter years a peculiar distinction. The range of his recollections seemed extraordinary, for, after all, he was not enormously old—he was not a Francesco Berger. The explanation, in addition to his retentive memory, is that he entered upon the journalistic scene very young—before he was twenty. Also, he had evidently been as a young man no rebel or reformer, but one well content with the world as it was. He lived on into the 1930's retaining not a little of the 1870 outlook on music. He had belonged to an England in which, except for a few fanatics, music was a merely sociable and decorative accessory. Klein, in fact, was a Victorian, a mid-Victorian—a type interesting in any case to meet in the flesh, and in this particular instance quite charming. His conversation was a delight if one had a nose for the vanishing odours of the past. Klein was one of the professionals urbane enough not to quarrel with the general terms on which music was allowed into English life half a century ago. He did not mind ballad concerts, for instance, and yet he was no fool. 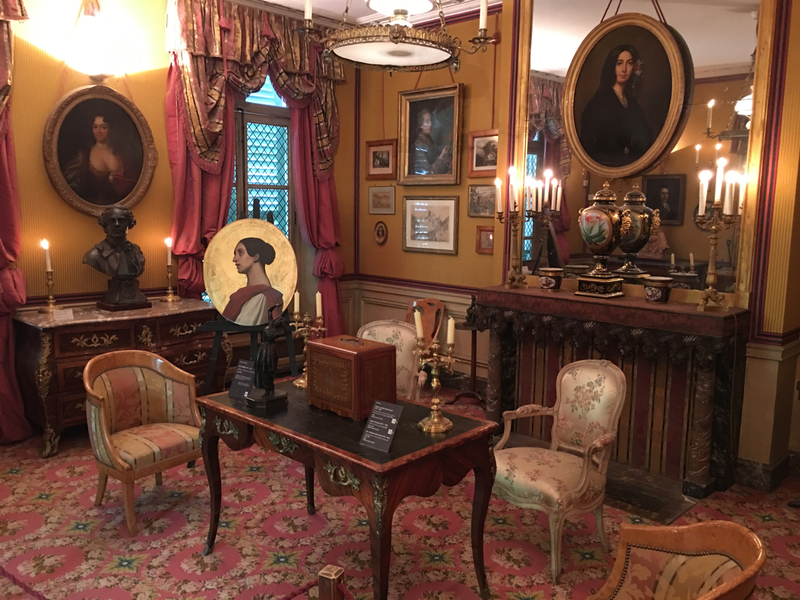 No doubt he was never ultra-serious, but he could not be called superficial when for one branch of the art he possessed a true connoisseur's understanding and passion. He had an expert's appreciation of the principles and practice of singing, and hence ballad concerts and performances of Meyerbeer's 'Huguenots' never lacked an interest for him. His youth was the period of the tyranny of the prima donna. Klein was not one to mind this; he enjoyed it, and delighted in comparing Valentines and Marguerites and Carmens. This sort of expertise was the principal accomplishment of a music critic of the 1870's. Klein, when he began, must have been one of the last of the sort. He long outlived all his fellows, and thus it was that the alert, smiling, well-preserved old man seemed to belong to an enormously remote era, the era of Davison and Chorley. Not that he was detached from the present. He was not so serious about the past as all that; but still he was definitely serious on this subject of singing: serious, clear-minded, experienced, and (really, it is the word) scholarly. Even though he did pepper his sentences with quantities of unnecessary French, that was simply the practice of the craft. The Musical Times, May 1934, page 468. Having served on the board of the same organisation which Klein founded in New York, as well as having discovered his "lost" singing manual, I feel a certain kinship to the man who brought García's teachings to America. That we both have an affinity for the history, nuts and bolts, whys and wherefores of singing, makes me like him all the more. It's a curious thing to find a friend in a long dead person. our number for July last an interesting account by Mr. F. W. Farrington of a course of study under the old maestro. Lamperti's son, G. B., still teaches at Dresden. Samuel Silas Curry has appeared on these pages before, his life spent deeply involved in the study and practice of elocution—a profession that is a shadow its former self. Think about it: Curry was involved in teaching voice long before the advent of the microphone, when projecting your message to a large audience meant knowing how to speak acoustically. Who does that today? British trained thespians mostly, while everyone else uses body mics. Now? It's a learning curve that is only undertaken by opera singers. Curry was a student of Francesco Lamperti. You can find his pedagogical thoughts on the Download page. Whowever wishes to make safe progress in any department of science or art must "hold the past firmly by the hand." Everything has a history. Many ages of development made the bird's-nest possible. So far, however, as we can see, no oriole or bluebird improves its home consciously on account of the successes and failures of its parents or neighbors; but man can consciously appropriate the attainments of his race and use the successes and even the failures of men of all ages as stepping-stones to progress. The power to know history and to use its materials consciously is one of man's highest characteristics. History is "the development of the collective spirit." The life of the race has a unity similar to that of the individual. Man can consciously use the materials of his fellow-men gathered to-day or ages ago. Nay, he who does not do so is weak. He who refuses to adjust his work to the cooperation and fellowship of his race ceases, in one sense, to be a man; at any rate, he cuts himself off from the greatest means of growth and support that can be found in the world. The man who first propounded the question, "Am I my brother's keeper ?" was a failure, and worse; and so has it ever been with all who have held the same doctrine of isolation. The greater the man the greater his ability to understand and appropriate the knowledge and the experience, the thought and the life of other ages and races. Darwin, before he dared to state his hypothesis, became acquainted with all that was known in the realm of biology. His hypothesis was but a guess, an imaginative leap into the dark, but it sprang from the knowledge of all that the race had gathered to explain the processes of development. His life-work was devoted not only to the gathering of new facts but also to the examination of known facts in the light of his theories. The historical method must be used in all departments of knowledge. No department of knowledge has ever been recognized as a science until its historical unfoldment has been traced, and its relations to other subjects and their history have been explained and established. Notwithstanding, however, the common acceptance of these principles there has long seemed to be a tendency among elocutionary students to ignore the history of their art. Many a teacher has seemed to desire the unconscious condition of the bird and to build his nest on some high limb as he thinks out of his own ideas without joining what little he can do to all that has been done before him. Many boast that they have not studied with anyone and seem to glory in the fact that they do not know the methods which have been arranged by others. It may seem strange, but men struggled with the problem of elocution and delivery long before our time. Oratory is as old as history. In Homer, "god-like speaking" was the highest characteristic of the hero. Speaking seems to be referred to by Homer as the greatest problem of education. The experiences and failures, the long and laborious training of Demosthenes, are referred to by historians and by himself in his orations as something to his honor and not to his disgrace. Cicero recorded the criticisms made upon him by the great teacher of oratory at Rhodes. How different from the modern speaker who often desires that no one shall ever know that he has taken a lesson in elocution! The delivery of the average speaker, as a rule, is such that he should have no anxiety on that score. His audience will never suspect that he has received assistance from a teacher able to read his needs and to apply such training as would develop his true personality and realize his possibilities. Nero kept his phonascus, or vocal teacher, ever by his side when he gave his commands, to show him how to use his throat and to send forth tones. The Emperor Augustus rehearsed all his speeches to Livia, and the records of these men of later times are made in a way to show that such acts were customary and that the teacher of voice in ancient days was held in honor. The problem of delivery has received attention from some of the greatest minds. The teachers of the Greek age were all primarily teachers of vocal expression, and written expression was always secondary to spoken. The struggle to found and endow a school of oratory is as old as Protagoras. He who desires to avoid the failures of the past, to feel confident in his grasp of the truth, will not ignore the experience of other men and other ages. And yet we have no such history. We have hardly any attempt at a historical outline of the methods employed or the services rendered, or of the discoveries made or of the triumphs achieved. Mr. Murdoch has a few points in his "Plea for Spoken Language," on the subject of history, but this work is simply a plea for Rush, as he frankly confesses, and has many mistakes. The book by Hill, for example, he says was published in 1779. It was published nearly forty years earlier. He calls the author Aaron Hill; the British Museum says J. M. Hill. He exaggerated, also, the importance of Walker, simply because Walker's system was the beginning of the mechanical view or school which Rush's work followed. Mr. Murdoch called Walker the father of English elocution. He was only the father of mechanical elocution. Mr. Murdoch, however, was perfectly right in conceiving the importance of history and in feeling the necessity of appealing to it to prove his views. Though we may disagree entirely with his conclusions and often with his dates and alleged facts, yet he deserves honor for his example. No one who has struggled with the problem will fail to realize how difficult it is to write such a history. Vocal expression is the most subjective of arts. The first art we learn is speaking. So few facts have been recorded, so few investigations into the real nature of speaking have been made, so personal have been the methods of developing oratoric delivery or dramatic expression, that we have seemingly small basis for such a history. Every teacher of elocution who has ever amounted to anything has studied with other men; has received his traditions face to face with those who preceded him. Professor Monroe was taking lessons from others the last year of his life. The true teacher never refuses to be taught by others, never adopts some little system founded upon some temporary expedient that may have proved helpful to some individual; or bases his methods on his own natural endowment, his success in some contest. The earnest teacher seeks in all ways to form a true conception of his art. He does more than listen to people lecture, visit classes or see someone teach for an hour. Even the reading of books is only an adjunct; for delivery is a personal art, that has been perpetuated only by personal contact, personal instruction, and the personal mastery of exercises. Vocal expression requires example, requires the awakening of the spontaneous, even the unconscious impulses of the mind and must be studied face to face. There must be assimilation of the whole man, or all becomes mechanical and superficial. But granting all this, every teacher-and student needs to have the whole field illuminated; and the only light which will serve as a safe guide must come from the study of elocutionary history. In fact, the study of history is the most effective means of leading the teacher and the student to realize the very fact that delivery and all vocal art is personal and must be improved by a present mirroring of a soul to itself by another soul. For the last eighteen years I have devoted some study to the history of vocal training and vocal expression, and the methods which have been adopted in different periods of the world's history. I have consulted foremost professors of Greek for assistance and light upon those early methods which produced the greatest results that have ever been known. I have gathered and had translated some references and extracts from different Greek and Latin authors, which had not previously been rendered into English. Hence, when your committee invited me to speak, I suggested, in an unguarded moment, "Greek Ideas of Elocution or the First Period of Elocutionary History," as a topic upon which I should like to address you. When, however, I came to wrestle with the material, I found it impossible to present the facts which I had gathered and their adequate interpretation in the period of time to which each speaker at this conference must necessarily be limited. I desire, therefore, to present to you certain advantages which may be gained from the study of the history of vocal and elocutionary methods, and I do this especially with the hope that I may inspire others to come forward and volunteer to aid in making investigations. For, while a history of elocution is needed, the publication of such a volume will not be sought by publishers. Such work has usually fallen to some society. The Chaucer Society, the Shakespeare Society, the Shelley Society, the Philological and other societies have published invaluable books which could not have been printed except by the support of such associations. Those who attend this conference are supposed to have mastered and to be following some one method, for all are supposed to be practical teachers. No teacher can come here and give a lesson. The true teacher must always see that his point is understood. He must make a definite diagnosis and see that the remedy is adopted and applied. He must report and call for individual practice under his eye. Hence, in such a gathering all can best unite in studying those broader and higher facts in regard to our work, such as its history or its general needs. Allow me, therefore, to present to you certain advantages which may be gained by the application of historic methods to various departments of vocal training, and vocal expression. 1. Such a historical study, were the materials accessible, would prevent mistakes. Ignorant people must live over again all the old exploded heresies in theology, in finance, in educational theories, simply because they do not look into history and find the light of experience which shows the natural result which follows certain conditions and causes. 2. The historic method enables us to appreciate what is really new in the theories of the present time. If we know the past we can realize the advances that are being made, we can distinguish the true discovery of principles, from what is mere ingenuity or oddity or the result of mere vagaries, and what is really far behind the methods of other days. It is only by a broad and careful study of history that men are able to see what is really new in any department of science or art. If we kept thoroughly posted in the history of our work, we should know that the revolving mirrors, which were invented or discovered by Helmholtz had been tested in relation to the voice over twenty years ago and found to be of no special advantage in vocal training, because the qualities of the voice appeal to the ear, and are too subtile to be presented except in the most general way to the eye. My own voice was tested with them twenty years ago by Prof. Alex. Graham Bell. The new point of photographing the waves of light adds nothing that makes it any more practical in vocal training. The historical method is the greatest test of truth. A slavish following of history, an isolation of history from intuition and nature may, at times, tend to make men conservative, but the real reformer is one who feels all history at his back, who knows what has been done before, and in the light of the past can distinguish what is a step forward. 3. One who is familiar with the struggles of the past will be able to feel the needs of his own time, and having come to understand and to feel the current of history, and having seen the mistakes of the past and realized the struggles of other days to advance his work, he will be able to grapple with the probem of his own age more effectively; he will be.less subservient to any particular system, less liable to ride a hobby. He will be able to look at his work from many points of view, he will be able to realize its need in general and to meet each 'individual case more adequately. Besides, he will be able to realize the true hindrances to his work; he will understand why it is not making greater advances, why it is not better appreciated. He can feel the remote causes of the difficulties which he has to face now, and above all he will be able to feel wherein the greatest dangers lie. 4. The study of history gives hope. When discouraged, and feeling at times the lack of cooperation, or when the teacher feels the great difficulty of meeting adequately the needs of some earnest student, what can give him more encouragement than a realization of what Demosthenes conquered? What reveals to us better the possibilities of such training than the account of the first failure of Sarah Siddons and her final triumphs when she passed into English history as the typical muse of tragedy? 5. The historical method prevents egotism. The man who holds some little idea and, thinking that he has something that no one else in the world has ever known, imparts it to students as if it were the greatest secret in the universe, when he finds out that what he is trying to teach is more than three thousand years old and has been applied by thousands of teachers, such a light breaks into his narrow and egotistic soul that he is really able to see beyond his little sphere. The light of historic research leads a man to measure himself as a part of a great army of workers and as a true member of his race. He receives courage and is more apt to acquire that modesty which characerizes all noble students and investigators. 6. A study of the history of his art broadens the mind of a teacher or a student and enables him to realize its relation to other departments of knowledge and other forms of instruction. He realizes better the true nature of his own art, its limitations, its possibilities, its function and its true power. He will be able to look upon his work from more than one point of view. He will be able to see that his work has had a part in the great problem of education. He will realize that elocution is concerned with the revelation of the soul. He will feel that as breathing consists in taking in and giving out breath, so education consists in the taking of ideas and giving them to others; and unless the balance of these two is preserved, there will be something abnormal in the development of every human being. He will see the true educational value of his work and he will see its failure when separated from educational principles. He will see his own work as an art and its relation to all other arts. He will awaken to the character of the natural languages and of the relation they bear to the imagination and the artistic culure of the soul. He will be inspired, also, to cooperate with teachers and educators and artists in other departments of life and enter into a true sympathy with the great struggle of human development. 7. There would be an appreciation of the changes that have taken place in the style of speaking and of acting and of public reading, the causes of these, and the lessons entailed regarding the new methods for their development. 8. A history of elocution would show its true place in education. The ignorance, the perversions due to a total lack of culture, have had a most deleterious effect upon the estimation which educated men have in regard to our work. Would not a true history of elocution serve to show educators the true educational value of vocal training and vocal expression? 9. Such a history would aid in establishing and securing recognition of voice and speech as departments of science and of vocal expression as a department of art. All educated men would have the means of judging of the true nature and function of the various sciences and arts associated with vocal expression. Artists could realize the relation of the art of vocal interpretation to other arts. Such a history would give students and teachers a conscious and unconscious respect for their work. Such a history would tend to establish the tendency, common in other departments, of giving credit to others in quotations and of giving honor to thinkers in the profession. 10. Such a history would do justice to the noble army of workers who have had a most important influence in education from the time of the Greeks to our own day. The world might be brought to see something of what we owe Thomas Sheridan and his plans for the reform of education 150 years ago. The elocutionists form an army of which we need not be ashamed. They have been reformers in education from Sheridan to Monroe. Curry, Samuel Silas. "Elocution and Vocal Training—The Importance of Studying Their History," Werner's Magazine, a magazine of expression, volume 20, 1897-8, September-February: 87-93. 42. Clearing the Path for the Tone. The primary step, in training the voice to obtain access to the resonating cavities, is to provide the requisite space in the direction of the nasal cavities, or, in other words, clearing the only path whereby the tone can reach them. This will be accomplished, to begin with, by flattening the tongue and raising or arching the soft palate in the manner described under the heading "Adjustment and Attack," par. 14. 43. Placing Tone in the "Masque." The second step is to begin the note with the thought (if not the actual sensation) that the tone-vibrations are being simultaneously projected or reflected—not pushed by sheer lung-power—into these "forward cavities" situated in the "masque." This thought and its application, after some practice, should quickly enable you to realize with certainty what resonant or ringing tone actually is. Simple teaching really, the kind of which is better understood by the student whose head isn't filled with scientific facts. "But the vocal tract is the only resonator!" intones the 26 year old doctoral student. "Klein doesn't know what he's talking about—and really, García never taught singing in the mask! What nonsense!" Sorry, young man. You haven't a clue. You are mixing your centuries for starters. Never a smart thing to do. Better to understand why those who have gone before you think as they do. Their understanding of the cause of voice placement—even if inaccurate from a scientific viewpoint, doesn't take away its effect. Yes, there are no resonators in the head. We all know that. However, what you don't understand is that old Italian school voice teachers taught their students—not facts—but what to do and where to listen to the result. How does vocal control take place? The answer to this question is through the ear—though I doubt you will find much about that in the current literature—even if you will find gobs of information about the anatomy of the ear itself. But that information can't help you sing any more than knowing the names of the muscles of the larynx. I can think of several things that the voice wants, beginning with a good breath; the kind of breath that makes the ribcage expand, the spine elongate, and results in the muscles of the face feeling quite busy. This was taught by old Italian school teachers (the practice itself resulting in these feelings), beginning with inhaling through the nose (and the mouth shut) for up to 18 seconds. With practice, it slowly dawns on the student that the amount of air that is stuffed into the lungs isn't the main issue; but rather, what happens to the body when even the smallest amount is inhaled. It also helps the singer understand that breathing for singing is not merely a mechanical maneuver, but one that involves inspiration. 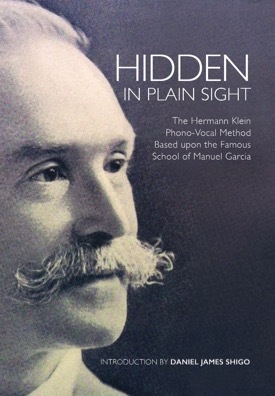 The voice also wants a stable singing position, a concept that was taught by the García School, and recorded by Manuel García's student Herman Klein (you can find Kein's book in the right hand column). A central aspect of my own studio teaching, singing position is the fulcrum around which the voice revolves—regardless of style and genre. Without it, the singer has no presence, cannot communicate with any real meaning, has little range, and sings out of tune. Once breath and singing position have been firmly established, the remaining requirements can be reduced to two: open throat and placement. While modern vocal pedagogues may argue the meaning of these terms, they carried real weight for old Italian school teachers, who used them to describe sensations that were both felt/heard. For them, singing took place through the sense of touch (feeling) and audition (listening). And now we have come full circle, if only because—don't you know—both these avenues of awareness involve the inner processes of the ear.